Barter, swap ads in Sydney. Thank you for visiting our free advertising website Barter, swap, Sydney section. We provide high response free classifieds and free advertisement. Use our online free Barter, swap classifieds placement system to find, list, offer Barter, swap online! 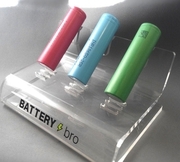 Battery Bro is the world's #1 18650 battery supplier. Find out why! See more here: https://batterybro.com. wild turkey( industrial drinks fridge). up-right free standing drinks fridge (wild turkey branded). Will look great in the man cave!!!!! or in your bar area. Adjustable multi level shelves for all sizes of bottles. Internal light. Approx. 1.9m high. Works great.... just got another fridge for bar and no room for 2.. I have 4.2 acres of land I would like to trade for a sail boat to retire on.The land is in alaska usa..
Australia free ads for Barter, swap, Sydney, Barter, swap free ads Sydney, Barter, swap for sale Sydney, Barter, swap to buy in Sydney. Find on this page free classifieds for Barter, swap in Sydney. This listing includes classifieds for sale and to buy in Sydney. FREEADSAustralia Sydney offers you a platform to post free advertisements or classifieds for Barter, swap in Sydney. FREEADSAustralia helps you search, find buy, sell, rent or hire in various categories like apartments, goods for sale, local services, cars , jobs and many more in Sydney. If you posted an advertisement in category Barter, swap of FREEADSAustralia Sydney before please use Edit my ads button to change or cancel your ad. Barter, swap Sydney ads Sydney, Barter, swap classifieds Sydney, Barter, swap free ads Sydney, ads for sale Sydney, ads to buy Sydney, FREEADSAustralia. Find here ads for sale, to buy and rent in Sydney. Goods for sale in Sydney, vehicles for sale in Sydney, Sydney real estate for sale, Sydney property for sale, property for rent in Sydney, business ads in Sydney, Sydney business classifieds, services in Sydney, Sydney services ads, jobs in Sydney, pets for sale in Sydney, Sydney dating, Sydney cars for sale.